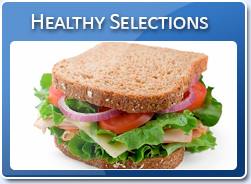 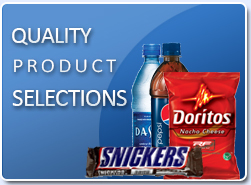 Customized programs to fit the unique needs of each customer. 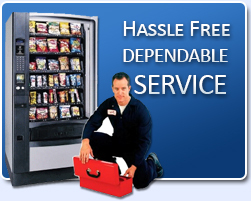 All of our vending services include a free consultation, refilling your machines on a regular basis and free rapid response to service calls. 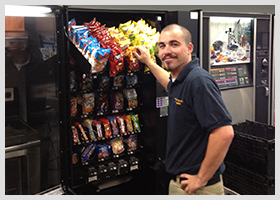 Furthermore, as members of NAMA, the National Automatic Merchandising Association, we have access to national databases that keep us up to date on new vending trends as well as legislation; keeping ourselves informed to always be at the forefront of the industry. 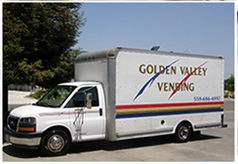 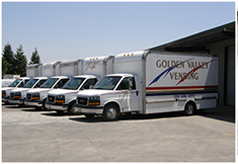 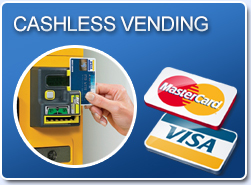 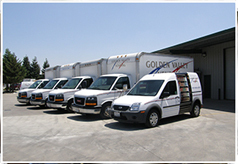 For more information on Golden Valley Vending, the services we provide or to set up your free consultation call us today at 559-686-4892 or email us at info@goldenvalleyvending.com.